Mr Kouji Nakayama, who is the owner of the well-reputed Japanese restaurant in Kolkata, has recently opened another venture, this time in my hometown Fukuoka. Guess what? 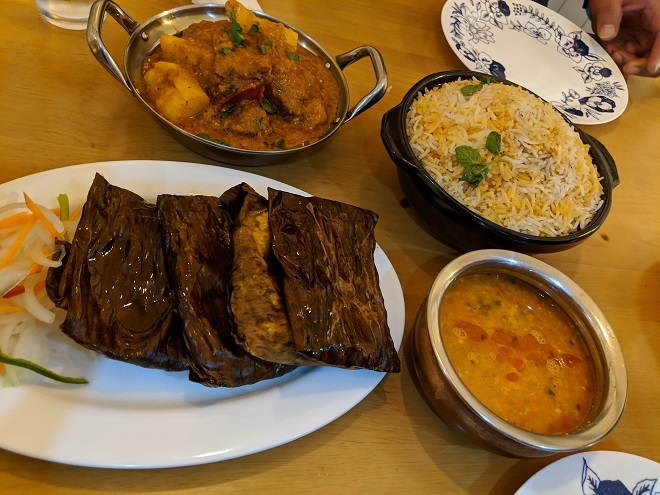 An authentic Bengali restaurant! But first, let's learn that he is the man who brought the first conveyor belt sushi (kaiten-zushi) system in the historic capital of West Bengal! His Japanese restaurant "Aajisai" located at Quest Mall, Kolkata, gets 4.2 rating on Zomato. Now, I am in Fukuoka, and one of my friends here invited me to join her visit to Nakayama-san's new Bengali venture in Fukuoka, names "Indian Spice Factory," which is located in Kasuga-city. It takes a little time from the central Fukuoka; that day we caught No. 42 bus from Nishitetsu Ohashi Station terminal and dropped at Noborimachi Kominkan stop after around 25 minutes. *Hope this map helps you, or else they have a car parking also nearby. 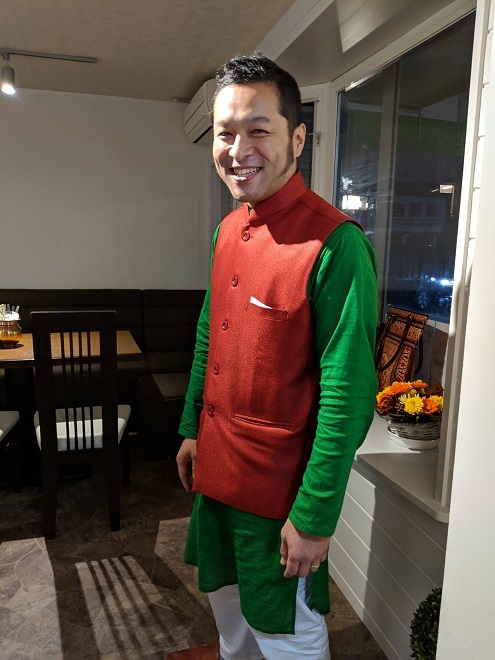 Nakayama-san welcomed us in a smart kurta pyjama with the broad smile upon his face, resembling the bright sun shining over Kolkata sky. 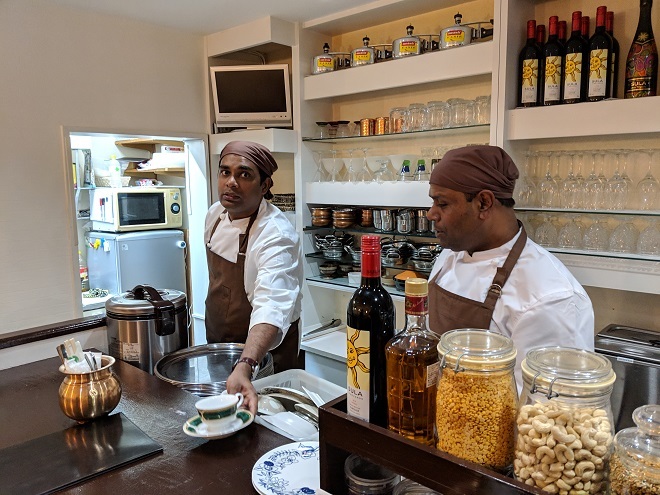 He explained that his two chefs, Mr Saikh Ukil and Mr Imam Ali, used to work for the restaurants in five-star hotels and knew that they were the best for this one and only Bengali restaurant in Fukuoka. Both of them recently shifted from Kolkata. 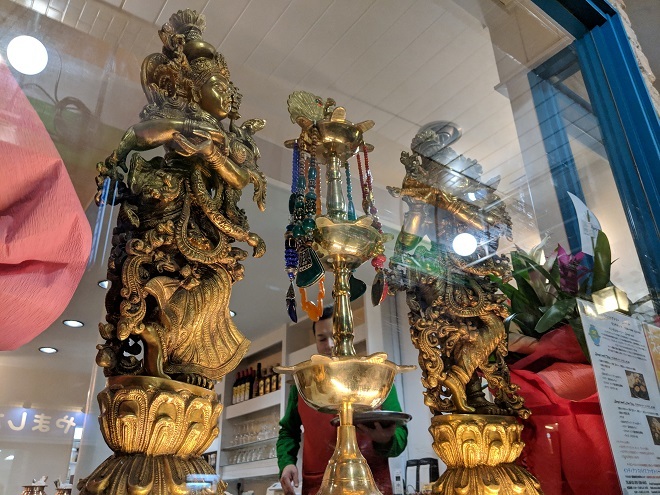 The restaurant was not too small yet cosy, a comfortable space where, while waiting for your dishes, you can enjoy some English picture books from India, including the one about St. Teresa of Calcutta. So, here we go, my small report on the food I enjoyed that day. Macher Jhol, fish and potato gravy. Notably, fish preparations use plenty of mustard seeds, and I love them. 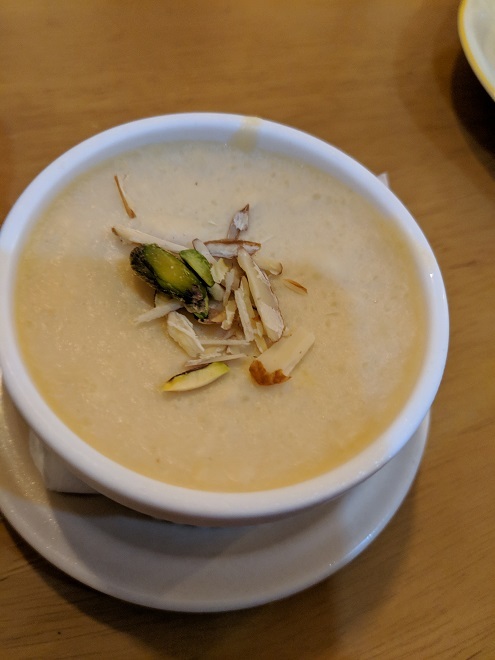 Bengali rice pudding made of expensive basmati. 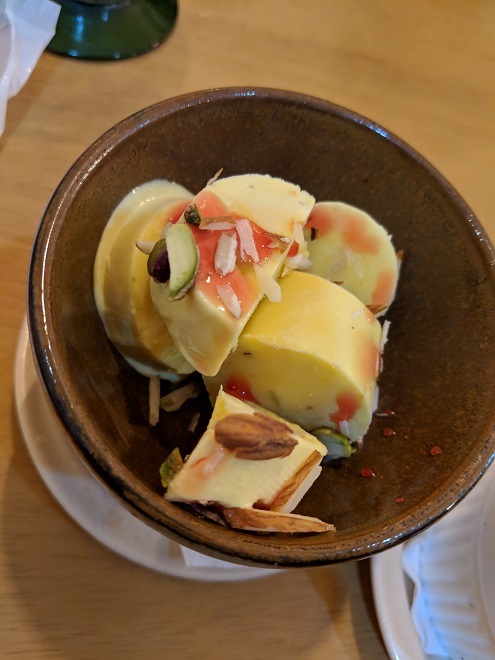 Kulfi, Indian ice cream made of condensed milk. Needless to say, they had Mishti Doi! As you see, Nakayama-san could become a critical bridge person connecting Fukuoka and Kolkata. I sincerely hope that he, Saikh-san, and Imam-san would achieve great success in Fukuoka and run the business for a long term with prosperity. I am sure people in Fukuoka will love their food, culture, and most importantly, the atmosphere. 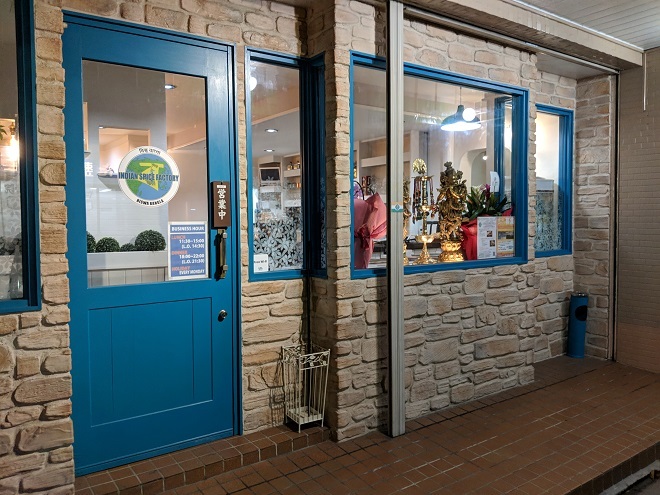 Outside the restaurant. Nakayama-san did all the painting inside, he said. Deities also flew from Kolkata. Great chefs, Mr Saikh Ukil and Mr Imam Ali. "The guy in Kurta," Mr Nakayama, the talented owner.